What Are the Hottest Sectors for Next-Generation Energy Services? The Grid Edge 20 companies are clustered in a few burgeoning market sectors. From physical assets to analytics, there is an endless array of activity at the grid edge. But when it comes to the areas with the most innovative companies, the analytics space is clearly in the lead for now. Last month, Greentech Media released its Grid Edge 20, a selection of twenty technology vendors serving the electric power market that we believe have the potential to shape the market going forward with innovative products, sound market strategies and forward-looking vision. 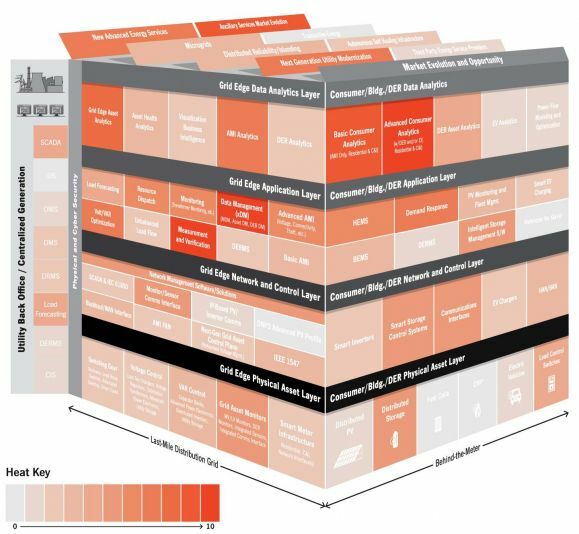 Below is a graphic that combines GTM Research’s Grid Edge taxonomy with a heat map that shows where the Grid Edge 20 companies' products and services fall within it. Offerings from Grid Edge 20 members were mapped to individual blocks within the cube to create a visual representation of competition in the space, as well as each company's ability to offer next-generation energy services. Image: GTM Research. Click on image to enlarge. Demand-side analytics, whether for distributed energy resources, advanced metering, or consumer efficiency, is the most active area for Grid Edge 20 companies, including C3 Energy, Silver Spring Networks and Opower. 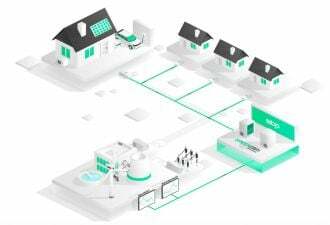 In the controls and physical asset layer, smart storage control systems and grid asset monitoring technology are the most active areas, represented by companies such as Stem, Varentec and Gridco Systems. 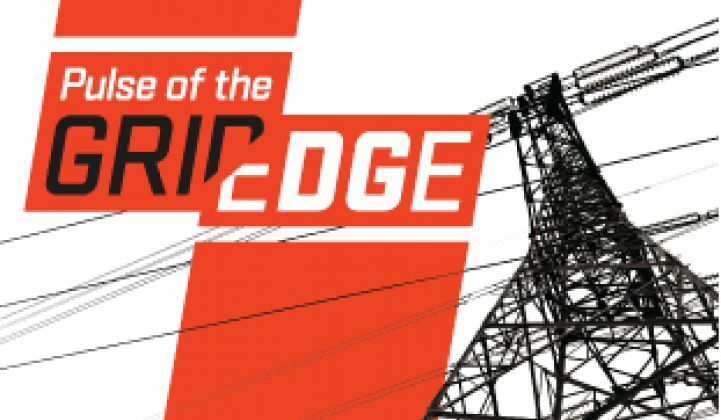 Unlike the power industry of old, the grid edge is evolving quickly. The heat map of movers and shakers transforming the production and delivery of power in the last mile could change significantly in the space of just a few quarters. To hear from many of the Grid Edge 20 companies and others transforming the power industry, join Greentech Media at Grid Edge Live in San Diego June 24-25.